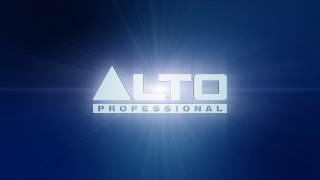 The Alto Professional Stealth Wireless system provides a convenient way to carry a stereo audio signal from the main mixing and listening location to the business end of the sound system. Compatible with almost any active loudspeakers—old and new—this system can be used to simplify a new installation or to retrofit an existing installed sound system. Considering purchasing the Alto Stealth Wireless? Have questions? Ask people who've recently bought one. Do you own the Alto Stealth Wireless? Why not write a review based on your experience with it. Very poor sound quality. Brought for vocal/karaoke events but very fuzzy sound on certain tones. Ok playing music if loud but no good for vocal entertainment. bought for P.A hire at comedy show's and this bit of kit really speeds up the set up process! going to roll it out at parties too! used for a hall and garden party to play same music and mic very reliable never dropped out of signal. Having heard about this, and needing for a very important gig, I purchased it on a whim, plus the expansion pack, to ensure maximum coverage at the venue. 2 of the speakers worked well. Two cut in and out periodically, but that was set to manufacturersâ€™ 01 channel. Didnâ€™t have time to experiment with best channel for the venue, and it wasnâ€™t the speakers furthest away from me that was misbehaving! Needs further testing, but a fab bit of kit nonetheless. Although this is not the best named wireless system it is still great for the money. when i purchased these i di not think they would work well as i have had trouble with wireless systems before, from interference, but these are perfect if you take care of them they will work 100% well. Excellent system worth the money! Well it works! !, so long as you take care when using the Transmitters/receiver's. The Hotel I have just used it in tonight has 18'' thick interior walls, and as it has just been extended & refurbished no damage could be done to decorations! During set up in the day it worked fine all day, the sticky Velcro patches stayed in place, music sounded amazing, the hotel directors very impressed no cables running around the rooms as trip hazards & the speakers could be placed in the others rooms not normally able to due to cable runs approx. 50/70m away & 3 thick walls Then the guests arrived all still working well ! organisers of the 300+ party liking the music available in all the rooms. During the buffet was when the fun started the stickiness on the Velcro failed & the buffet room speaker sound started dropping in & out as more people went in that room. Quickly rectified by using a longer xlr cable to the speaker & placing it on top of the speaker above head height & the transmitter higher as well. So yes its a fantastic system except for the sticky pads & short cheap looking xlr cables, two very minor items however for the price these could be better quality. Will try & get a short video on YouTube in the next week. Should you buy - YES just get longer xlr cables (1m) & use the fixing bolts. 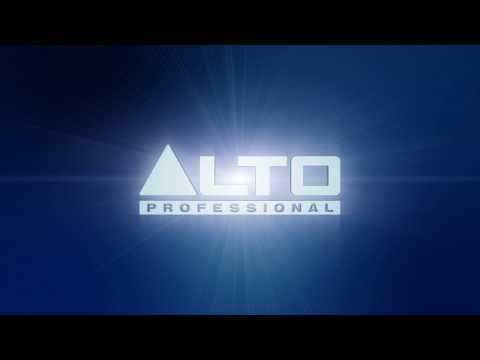 Seen a video for Alto Stealth Wireless online or have you own video? Check out Alto Stealth Wireless on DJkit.com!